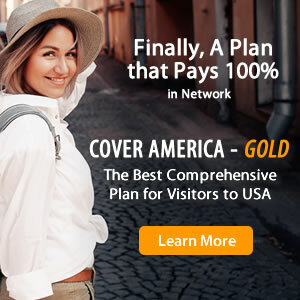 While searching to buy visitors insurance, you may have come across two similar travel medical insurance plans: Patriot America and Safe Travels USA. You may find that these two travel insurance plans share some benefits, but what is the difference between Patriot America and Safe Travels USA? Both Patriot America and Safe Travels USA are good travel insurance plans for a trip to the USA. These visitors insurance policies can both be extended up to two years and are both comprehensive plans, meaning that they provide percentage based coverage for most eligible benefits. For details about the differences between Patriot America and Safe Travels USA, refer to the comparison chart below.